Those lights got the crap kicked out of them. I don't know how often they were repaired (if they were) but I have many pictures showing them mangled or missing. The mean streets of the World's Fair. Watch your back, fool. Back to the first night at the World's Fair images. From the U.S. Pavilion it's on to the Ford Pavilion. This explains the "Magic Skyway" sequence at the beginning. 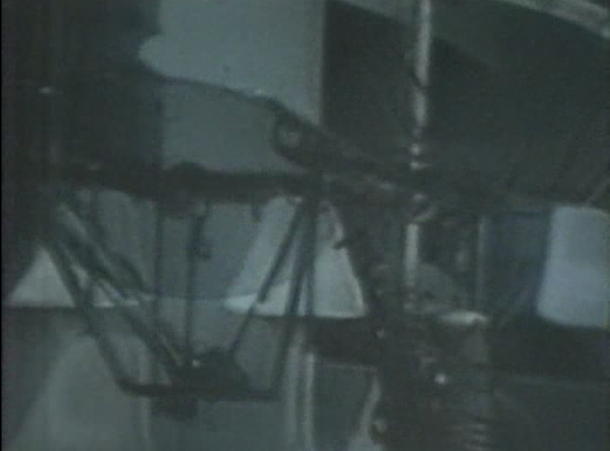 There is some kind of windshield wiper action that is visible during these scenes of the auto orchestra in action. 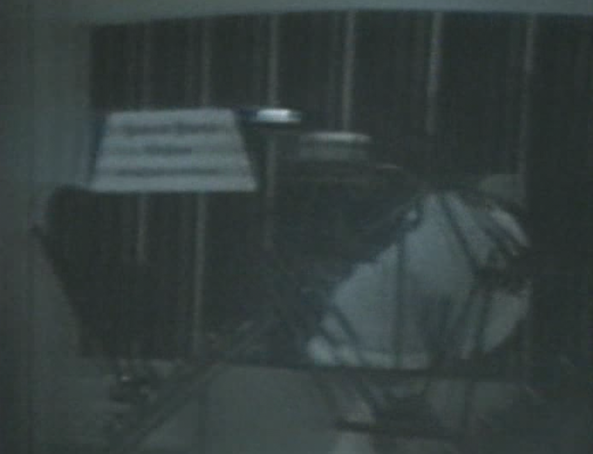 I understand the "Autoparts Harmonic Orchestra" but I could never figure out the empty seats, though. 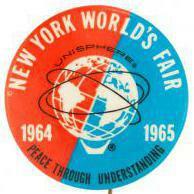 This is the end of first day at the World's Fair. The next couple of days all the film is taken during the day. Now that the holiday season is over I can concentrate on some things I have put aside. 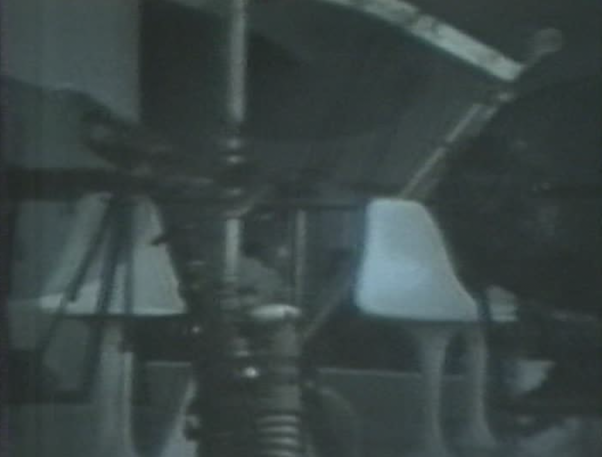 Here's a frame from the 8mm movie of the 1964-1965 World's Fair. 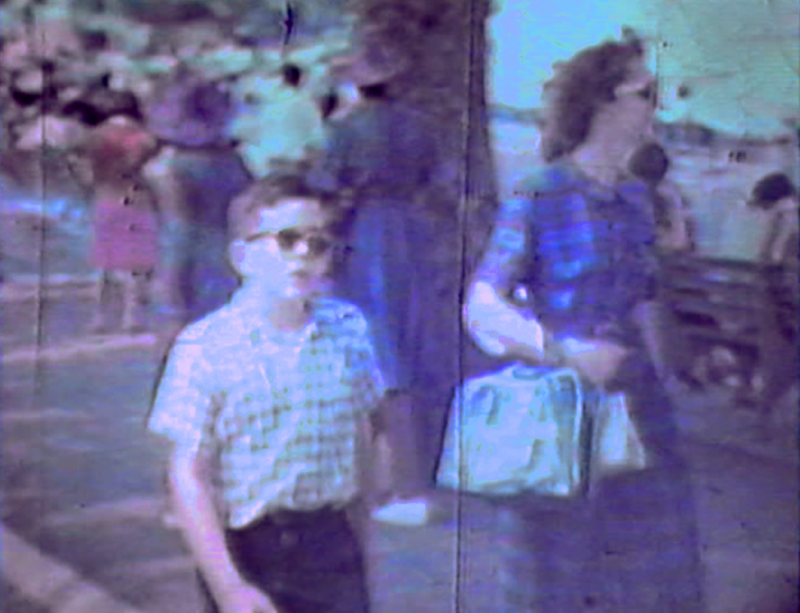 That's yours truly on the left with the shades.